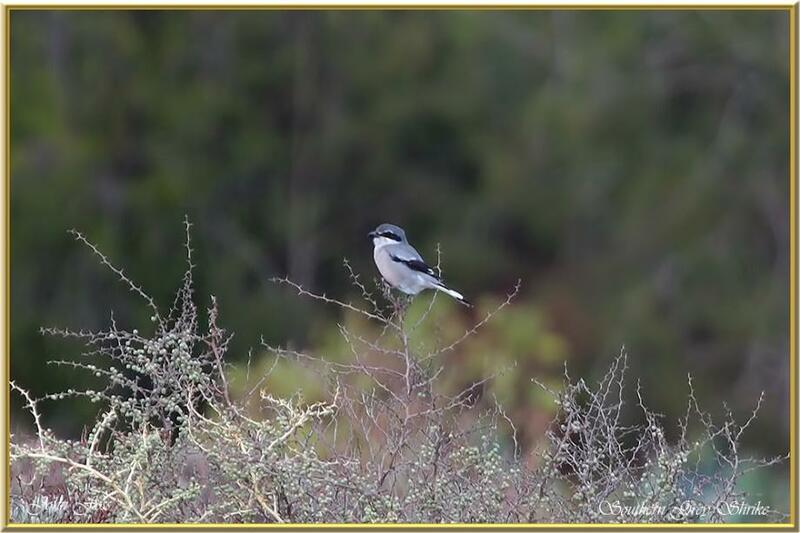 Southern Grey Shrike - alternatively named Iberian Grey Shrike, is a wintering Shrike in the Algarve. Behaviour is similar to other shrikes, using prominent perches and impaling food such as large insects, small birds, rodents and lizards corpses on thorns and barbed wire spikes. This photograph was taken at Cabanas De Tavira salt pans in Portugal during October. Not the best photograph, but my first ever sighting and as close as I could get! Better luck next time!